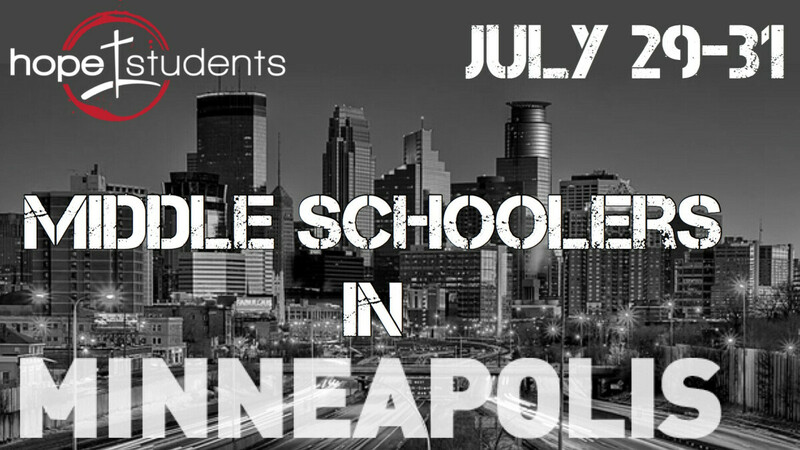 We will be taking our middle school students to Minneapolis this summer. The primary focus of this trip is to grow together as a community. We also want to use this time to focus on our ability to meet other's needs as a group, and reflect on what it means to be a body together. For this reason, we will be serving with Feed My Starving Children while there. This trip is open for incoming 6th grade students through outgoing 8th grade students.